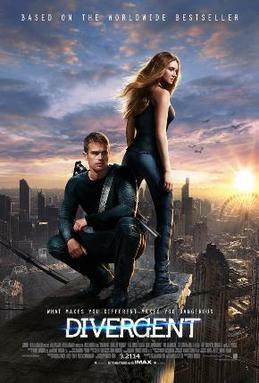 Divergent is a 2014 American science fiction action film based on the novel of the same name. In a futuristic dystopian Chicago, society is divided into five factions: Abnegation (the selfless), Amity (the peaceful), Candor (the honest), Dauntless (the brave), and Erudite (the intelligent). Members join a faction based on their preference but are initially given an aptitude test to determine their true faction. A small minority of people called Divergents exhibit attributes of more than one faction. Unlike members of the various factions, Divergents can think independently. Because the government cannot control them, they are considered threats to the existing social order. How do the five factions line up with personality and temperament? Let’s find out. The selfless Abnegation faction seems to us like a good match with the eagle-eyed tyrant (sensing/judging or SJ) temperament. [Review Personality Traits] Eagle-eyed tyrants (the Boss, Enforcer, Guardian and Philanthropist) are the builders of society and the masters of social order. While they are not necessarily selfless, they are indefatigable workers for the good of the whole community. True to form, Abnegation runs the government. We think the peaceful Amity faction shares many of the characteristics of the bleeding-hearted psychic (intuitive/feeling or NF) temperament (the Muse, Poet, Prophet, and Romantic). Bleeding-hearted psychics, as their names imply, are all about love and peace not war. Eagle-eyed hippies (sensing/perceiving or SP) (the Engineer, Humanitarian, Politician and Traveler) are a good match for the brave and daring Dauntless. Eagle-eyed hippies typically display athleticism, adaptability, and prowess with equipment and weaponry. They are willing to achieve their objectives using whatever means work best, whether or not such means are approved by society. For these reasons, they tend to make good soldiers. The truth-telling Candor faction departs from type theory as it does not well represent any of the four temperaments. All personality types exhibit some level of honesty and dishonesty. However, if honesty is viewed as a socially approved means of attaining one’s objectives, eagle-eyed hippies and pointy-headed psychics would be the most likely to break the rules and deceive others for personal gain. The knowledge-seeking Erudite faction seems like a good match for the pointy-headed psychic (intuitive/thinking or NT) temperament (the Director, Innovator, Professor and Revolutionary). Pointy-headed psychics live to learn, create and teach. They are master planners and more likely to be generals than soldiers. Like the eagle-eyed hippies, they are willing to achieve their objectives using whatever means work best, whether or not such means are approved by society. Revolutions are led by pointy-headed psychics.